CURRENTLY... I have to say, this fall is kicking my bootaaaaay! With volleyball season being such a busy time, and school in full swing, sleep and rest have definitely been on the back burner. Maria (my fantabulous teaching partner) and I keep saying that we'd just like to sit and stare at a wall for a few minutes and thing of NOTHING. Or even, read a book for pleasure *sigh*. Oh well, a gal can dream, can't she?! There's nothing better during a busy time though then to find a time to blog, especially when Farley over at Oh' Boy 4th Grade has a currently linky party happening! Listening to silence can be nice some days.. especially when it has been a CRAY CRAY week like it has over here! We've had bookfair and Grandparents week.. so our school has been hustlin' and bustlin' up in here! I am absolutely loving my school spirited nails! My nail genius, Molly, rocked this past appointment with her creativity for my spirited nails! EEEEK!! :) I super BIG pUfFy heart <3 chevron and sparkles! 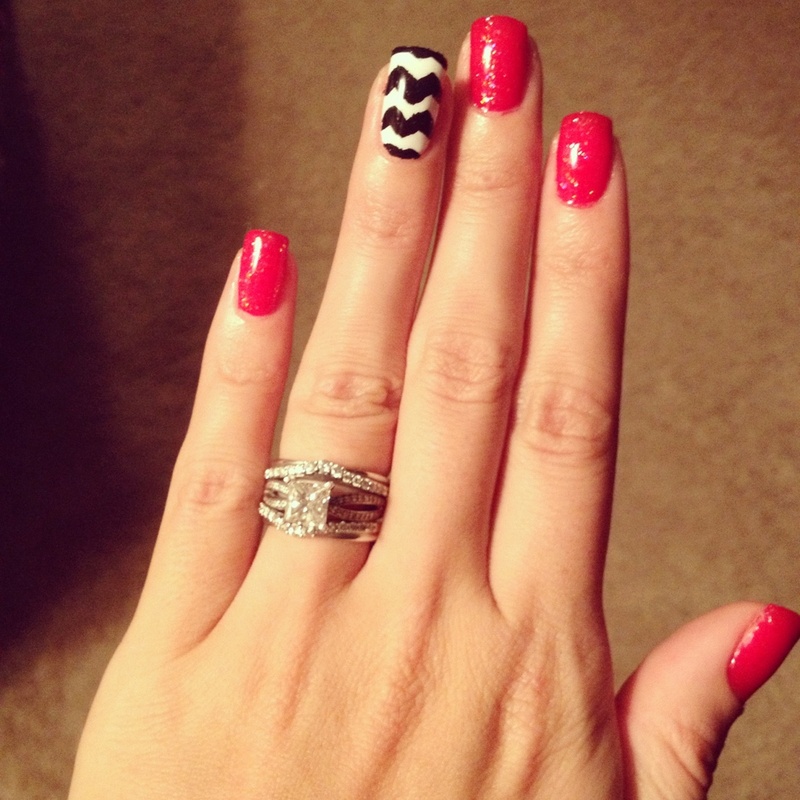 So I love my red and sparkly nails with my chevron ring finger! So FAB! I have been LOVING this sunny, crisp, Fall weather that we've been having! I love rocking the boots, leggings or tights, and big sweaters to school! 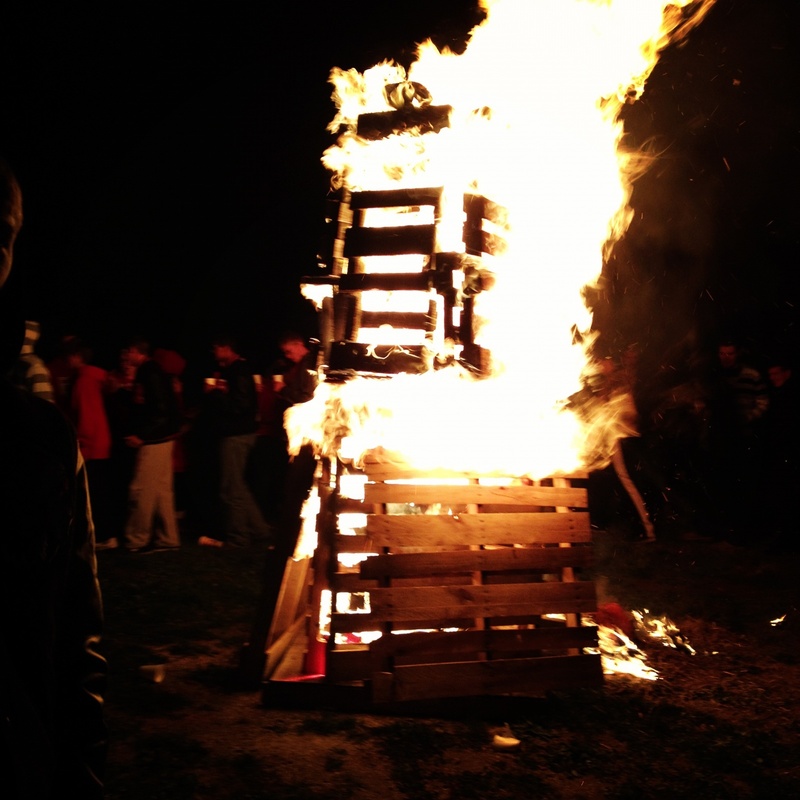 Plus, I LOVE fall bonfires. We had a school pep rally and bonfire last night that Christina over at Second Grade Sugar and Spice organized for our school and although it was freezing, it was great! Needing: Speaking of that hubby of mine... *I MISS HIM* :( We always kid around that we only get to say good night and good morning to each other all volleyball season long, but as we're getting well into the third month of season, I'm totally over not having hubby time! I can't wait to actually have part of Sunday (only one volleyball meeting) to spend with him this weekend! 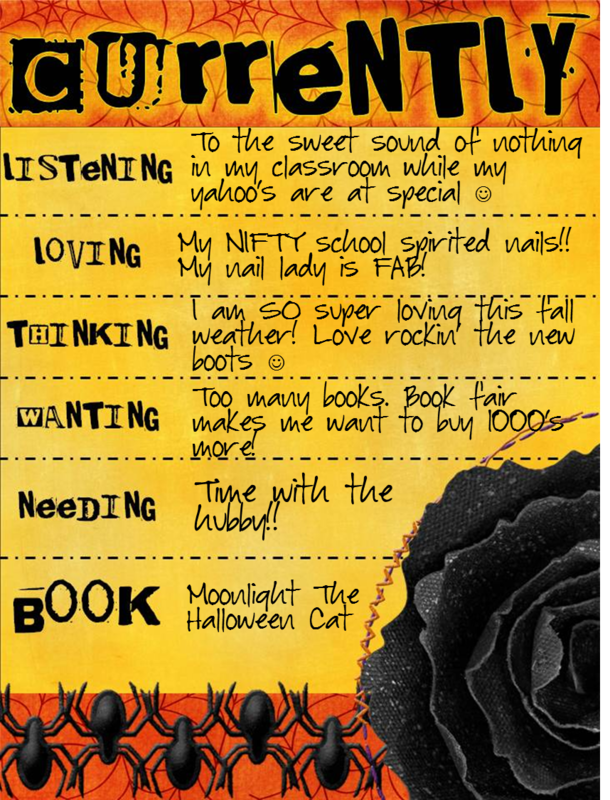 Book: Moonlight the Halloween Cat was a new book that was introduced to me by our librarian. I needed a book to discuss predicting, inferring, and evidence, and I wanted a quick read to model before Daily 5 time. This one turned out GREAT! My yahoo's were into it, and it had great opportunities to practice all three skills. Thank you for reading my blog and ramblings! I promise, the next one will be a little more educational ;) Love ya'll out there in the blog world! Can't wait to see your future posts! I love your nails! I agree with you about the boots! I think you might have motivated to get mine out for tomorrow!